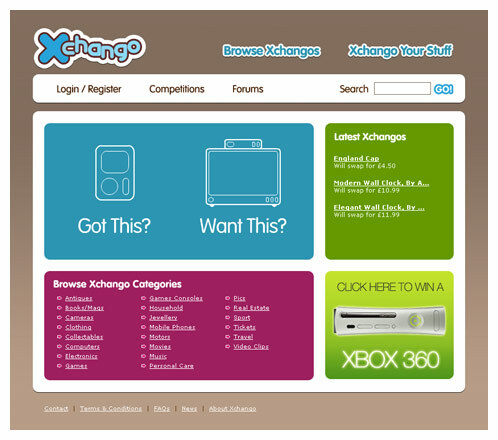 This is a community site where users can swap their unwanted possessions online. The site has similarities to Ebay but focuses more on swapping than selling. It is aimed at a younger demographic so an identity was produced to appeal to this audience. The site design then followed based on this new identity and incorporates a Flash animation on the homepage to explain the site concept to new users. This site is no longer live.